Homelessness is a difficult topic. When we see someone, a person sitting on the sidewalk alone, it makes us uncomfortable. There is an innate desire to turn away and not engage. The dirty fingernails, the dirty clothes, the dirty face looking up at you…it can be to hard to take. We wonder what it was that brought that person to be on the street the way they are. A return of the uncomfortable feeling returns. In the back of our mind we see our own checking account, the staggering bills yet to be paid and the knowledge that there is an unknown future to try and account for. Unfinished is a way to approach the subject from a different perspective. No words, just art. Art describing The Journey Home and the gaps that may be preventing that journey from happening. 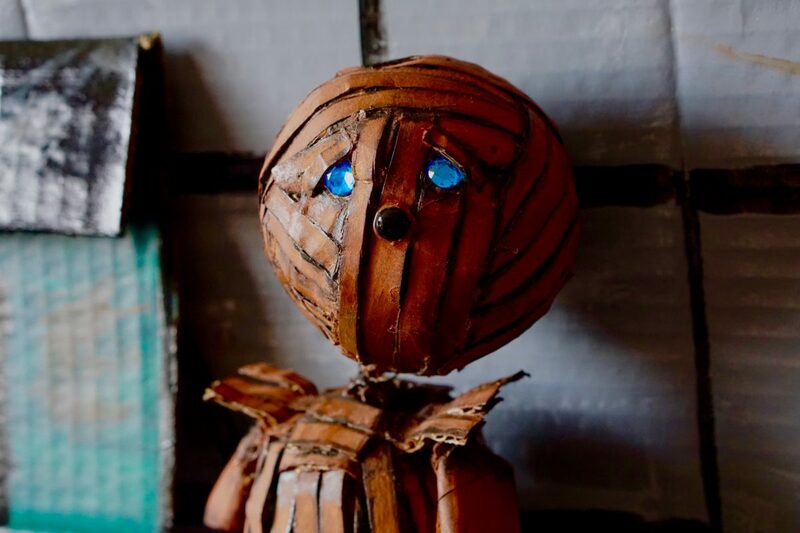 Karen Primus is a professional puppeteer and story teller. She has brought her passion and craft to the topic of homelessness through Frederick. We will premier her short film at the Unfinished event. It is an engaging and perhaps life changing view of homelessness and the journey forward. We look forward to welcoming you on the 21st!